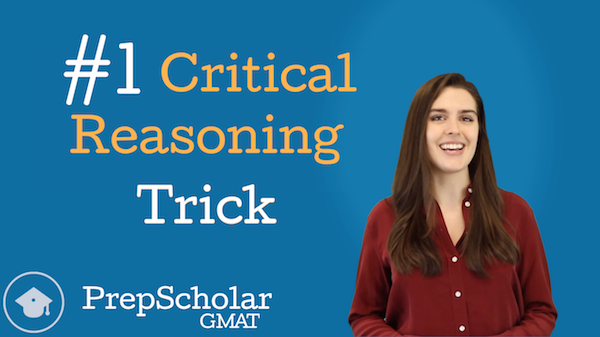 Like we discussed in our Online Lesson: Introduction to Data Sufficiency video, picking numbers should not be our go-to strategy for most questions on the GMAT Math section. Most problem types aren’t easily solved by plugging in numbers. Then, even on the problems where number picking is a viable strategy, most test takers approach it incorrectly, which causes them to waste time and confuse themselves. So when is this strategy actually useful? And how can we use it to improve our GMAT Math score? In “How to Plug in ‘Smart’ Numbers on GMAT Math Problems: 4 Tips”, we’ll teach you how apply one of the most misused GMAT Math strategies successfully on test day with four GMAT Math tips. While number picking shouldn’t be our first resort on any GMAT Math problem, some questions lend themselves more to number picking than others. Our first tip explores how we can identify questions that are good candidates for number picking. In our second tip, we delve into our goals for number picking. One of the reasons that number picking is not always an effective strategy is that test takers often plug numbers in randomly without considering how the result will impact which answer choice they’ll pick. 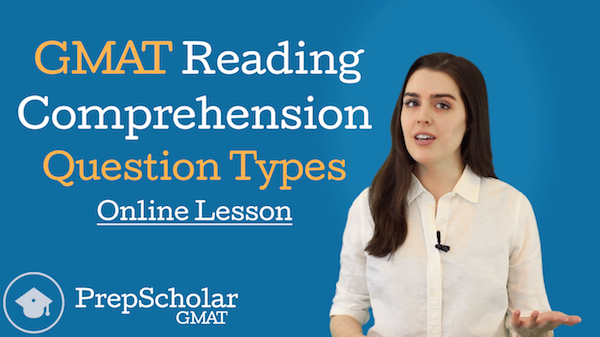 We look at how we should have different objectives for different GMAT Math question types, and how these goals will impact the types of numbers (as well as how many numbers) we pick. 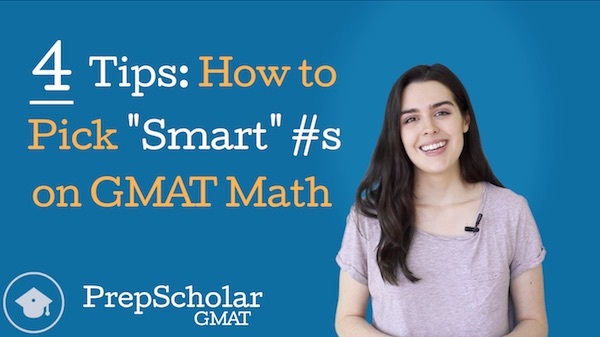 Our third and fourth GMAT Math tips explore how to pick “smart” numbers to meet these goals. First, we look at how thinking about categories of numbers can give us a window into which numbers “work” in our problem and which numbers don’t. Then, we consider how to pick specific numbers within these categories for quick math without a calculator. The Kellogg School of Management at Northwestern University is well-known as one of the top business schools in the United States. 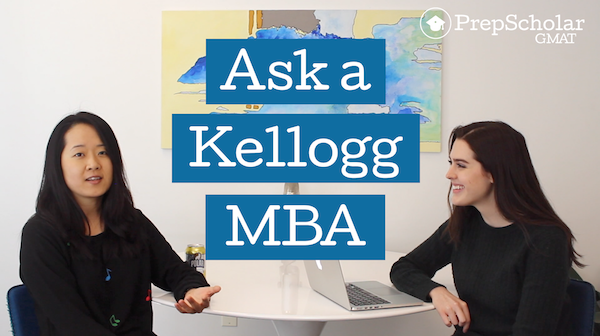 But why do real MBA candidates choose Kellogg? What exactly does it take to get in? 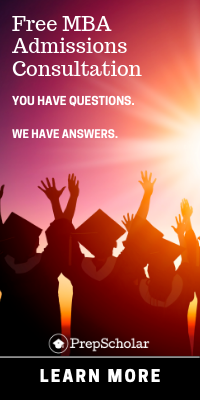 And how important is the GMAT in the admissions process? What was the Kellogg MBA application process like when you applied? How important was your GMAT score as part of your Kellogg MBA admissions application? 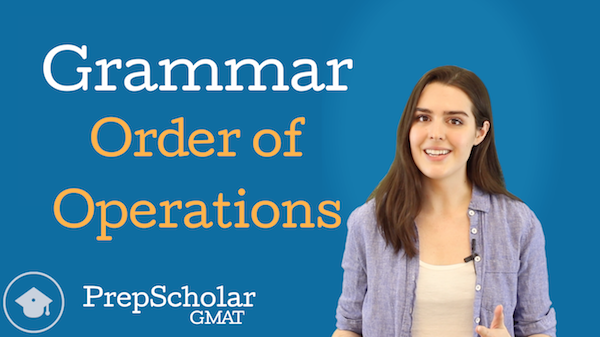 How did you study for the GMAT? 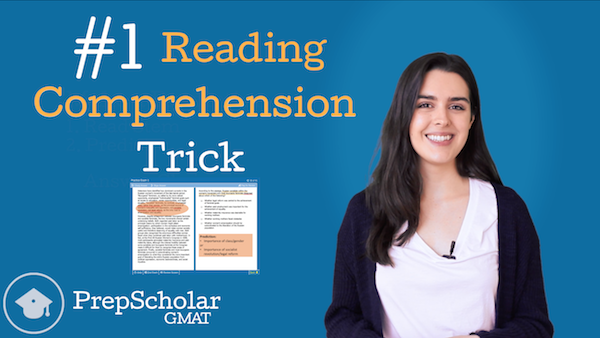 Did you do anything to study for the GMAT that you wouldn’t recommend to students currently preparing for the test? What is your biggest piece of advice for students beginning the Kellogg MBA admissions process or applying to another business school? Watch the video to hear her answers! If you like the “Ask a ______ MBA: Admissions and GMAT FAQ” focus of this video, feel free to request an interview focused on a different business school in the YouTube comments! You can also check out our Ask a Wharton MBA video here. GMAT rate problems are a constant on the Quantitative section. Many students dread rate problems because they aren’t quick or easy — they often require a series of steps to get to the answer. To make matters worse, this series of steps is usually not immediately obvious because there are so many elements to the problem and because these elements are usually presented as part of a difficult-to-interpret word problem scenario. This means that seeing a clear path to the finish line is difficult with many GMAT rate problems. So what should we do when we run into a rate problem that we just can’t see how to solve? 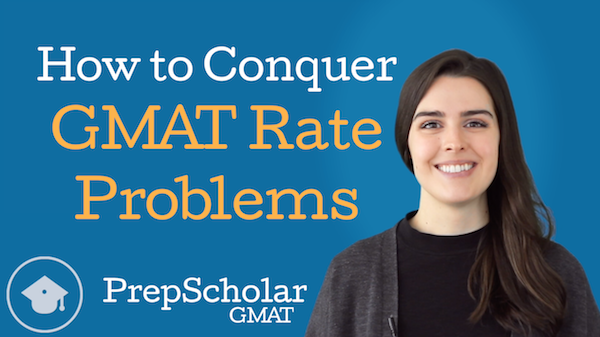 In “How to Conquer GMAT Rate Problems”, we discuss one of the most valuable GMAT math strategies — taking complex problems step-by-step. 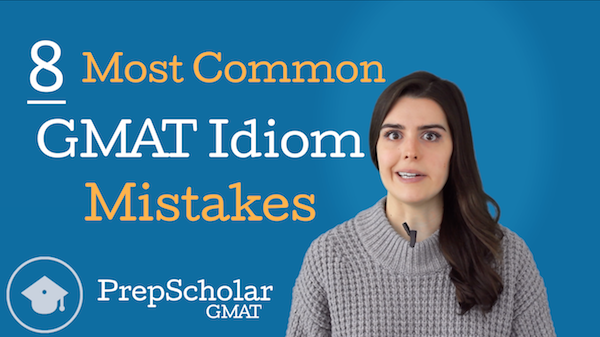 GMAT rate problems give us limited information that we can use in limited ways. At any given step, we are only able to do one or two things with the information we have. Because our options at each step are so limited, we can usually make our way to the answer by figuring out only the next step we are able to take now given the information we have, then repeating the process with the information we learn at each step until we reach our answer. While working out a full, multi-step game plan up top can be overwhelming, simply answering “What can I do with this information?” at each step is more manageable and will eventually lead us to our answer. 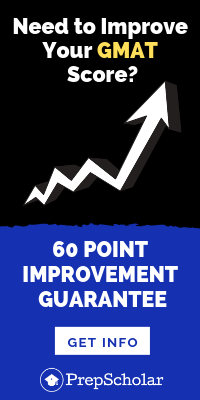 In the case of GMAT rate problems, the next step we are able to take is usually doing the next possible conversion — converting the value we have into any another value we can using rates from the problem. 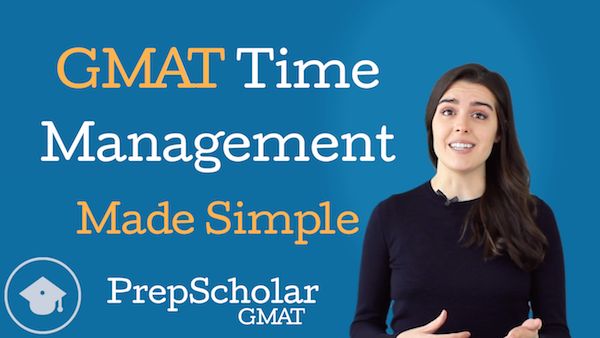 We walk through exactly what this means by solving one of the real GMAT rate problems from the GMATPrep software. With this strategy, you’re ready for any multi-step rate problems GMAT test writers can throw at you. 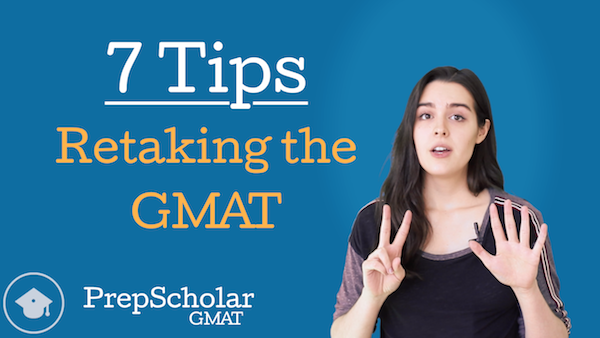 However, this isn’t all — taking problems one step at a time when the solution isn’t immediately clear is one of the broader GMAT math strategies, as we can apply it to a variety of multi-step problems. Not sure what to do with a bunch of terms with exponents? See how you can combine two or three of them, then see if it simplifies further with your new term. Have a complicated geometric figure? See which angle or side you can solve for now, then see if you can solve for more with the new information. As a final note, this strategy applies best to distance rate problems, but it can also be used on certain work rate and interest rate questions. If you’d like more detailed information on how to solve each of these specific types of rate problem, check out our rundown of the three types of GMAT rate problems.